On March 9, 2009, U.S. District Court Judge Norma Shapiro found that a Pennsylvania company’s counterclaims for damages under 15 U.S.C. §1120 arising from alleged fraudulent registrations were barred by the statute of limitations. See The Ritz Hotel, Ltd. v. Shen Manufacturing Co., Inc., 2009 U.S. Dist. LEXIS 18873, Case No. 05-cv-04730 (E.D. Penn. March 9, 2009). 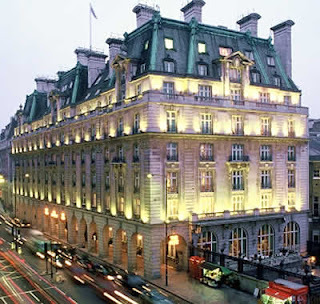 On January 7, 2005, The Ritz Hotel, Ltd. (“RHL”), the United Kingdom corporation which owns the famed “Ritz” hotel chain along with various trademark registrations containing the word RITZ including, among others, RITZ PARIS, HOTEL RITZ, RITZ ESCOFFIER, and THE RITZ KIDS, filed for declaratory relief of noninfringement against Shen Manufacturing Co., Inc. (“Shen”), which also holds various registered trademarks for the mark RITZ for cleaning and polishing clothes, ironing board pads and covers, tablecloths and beach towels, and bathrobes, aprons, and laundry bags, dish clothes, towels, mitts, and place mats along with various unregistered common law marks such as RITZ PRO SERIES, RITZ STERLING, RITZ SUPREME, RITZ ROYALE, and RITZ CLASSICS. The action, which had been filed by RHL in the Southern District of New York, was transferred to the Eastern District of Pennsylvania on August 22, 2005, pursuant to 28 U.S.C. §1404(a). In response to RHL’s declaratory judgment action, Shen, on September 16, 2005, filed its original answer and counterclaims against RHL (later amended on August 16, 2006) to include a counterclaim for damages under §38 of the Lanham Act, 15 U.S.C. §§1120, for damages resulting from RHL’s alleged fraudulent registration of five trademarks with the United States Patent and Trademark Office (“PTO”). Section 38 of the Lanham Act (15 U.S.C. §1120) states: “Any person who shall procure registration in the Patent and Trademark Office of a mark by a false or fraudulent declaration or representation, oral or in writing, or by any false means, shall be liable in a civil action by any person injured thereby for any damages sustained in consequence thereof.” An action for damages under §38 is for damages resulting from the PTO's registration of a trademark based on fraud on the PTO by the registrant. In this case, three of the five RHL trademark registrations at issue in Shen’s §38 counterclaim were RITZ for cutlery, RITZ ESCOFFIER for food products, and RITZ PARIS for cosmetics (the remaining two were voluntarily abandoned by RHL). Shen sought to recover damages resulting from alleged fraud or falsity in RHL's applications for these three marks, including lost profits as the result of its inability to market its own Ritz-branded cookware, as well as recovering attorneys' fees and costs for contesting the alleged fraudulent registrations. RHL filed a motion for partial summary judgment to dismiss Shen’s §38 counterclaim on the basis that the fraud claims had not been plead with sufficient specificity and on the grounds that the counterclaims were not filed within the applicable statute of limitations. Since the Lanham Act has no statute of limitations, courts look to state statute of limitations for analogous types of actions to determine whether such claims are timely filed. Because the counterclaims in this case were filed subsequent to the case being transferred, the state statute of limitations governing Shen’s §38 fraud counterclaim depends on whether the counterclaim is deemed a compulsory or permissive counterclaim. For compulsory counterclaims, the statute of limitations applicable in the forum where the complaint was filed governs not only the complaint but also compulsory counterclaims filed subsequent to transfer under 28 U.S.C. §1404(a). However, the court held that because a permissible counterclaim does not “relate back” to the events underlying an opposing party's claim, then, by definition, it was filed independently of the opposing claim and not in direct response. As such, a permissive counterclaim filed after transfer under §1404(a) should therefore be decided under the same governing law as would apply had it been filed ab initio in the transferee forum. In analyzing Pennsylvania’s choice of law principles, the law of two states could apply – Pennsylvania (Shen’s domicile) or Virginia (where the PTO is located and where RHL's alleged fraudulent conduct occurred). Because both states have two year statute of limitations for fraud, the court chose to apply Pennsylvania law. With respect to RHL’s RITZ ESCOFFIER mark, the mark was registered on December 31, 2002, and thus, a timely claim for fraud under §38 would have been on or before January 2, 2005. Thus, Shen’s counterclaim for fraud with respect to this mark was not filed until September 16, 2005, and so the court held that this claim was barred by the statute of limitations. With respect to RHL’s RITZ PARIS mark, the mark was registered on December 3, 2003, and thus a timely claim for fraud under §38 would have been on or before December 3, 2005. Because Shen’s counterclaim for fraud with respect to this mark was not filed until September 16, 2005, the court held that this claim also was barred by the statute of limitations. Section 22 does not distinguish between a domestic registration under §1 and a foreign registration under §44. Section 44 allows a would-be registrant to apply for trademark protection with a “bona-fide intention to use” without meeting §1(b)'s requirement that the registrant demonstrate actual use within six months following registration. Sections 1 and 44 were amended simultaneously in 1988 to allow an application to the PTO for trademark registration with a bona fide intention to use, Pub. L. 100-667, §§103, 133, 102 Stat. 3935, 3946 (1988); this suggests a Congressional intent that a §1(b) and §44 registration function equally except when otherwise provided. Finally, with respect to RHL’s RITZ mark, the mark originally registered on June 18, 1996, and an affidavit of continued use was filed in June 2002. The court noted that §22's constructive notice provision applies only to the original trademark registration, and that the June 2002 affidavit of continued use was not constructive notice of asserted ownership of the mark in calculating the timeliness of Shen's claim. The court noted, however, that Shen had been put on notice of RHL’s claims of ownership as of July 21, 2003, when RHL invoked the registered mark as a defense against claims brought by Shen. The court held that a timely claim by Shen based on a false or fraudulent declaration by RHL would have to have been filed on or before July 21, 2005. Because Shen’s original counterclaim for fraud with respect to this mark was not filed until September 16, 2005, the court held that this claim also was barred by the statute of limitations. Thus, the court granted RHL's motion for partial summary judgment of Shen’s counterclaim for damages under §38 of the Lanham Act based on RHL’s alleged fraudulent procurement of three trademark registration was granted on the basis that Shen’s counterclaim was time-barred as to all three registrations. Section 1120 is a difficult provision of the Lanham Act. It is almost never used in litigation. The authority out there pertaining to 1120 damages is close to nil. A court would be going out on a limb awarding damages under this provision. Why risk getting your opinion reversed when you can dispose of the issue with the statute of limitations. A significant fact relates to the Section 8 false sworn statements of use in commerce that were made within the statute of limitations - to maintain the fraudulently procured registration and use it as substantive evidence in a legal proceeding in the likelihood of confusion analysis. The cat is out of the bag now, but if RHL wasn't caught - no doubt they would continue using the false registration as evidence. For example, RHL was close to falsely creating an impression that the mark, being a registration for 10 years, existed without actual confusion in the marketplace. Is "The Good Guy" the next "Heavy Hitter"?